All guests who stayed in Adriatic.hr private accommodation last year and are planning to do that again are rewarded with a discount for a new reservation. 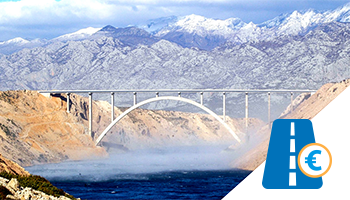 If you drove on Croatian highways in 2018, you can get up to 100% refund of toll costs in our "Highway toll reimbursement". Toll cost in the maximum amount of 100 € made on Croatian highways which you had during your arrival and departure from private accommodation booked on Adriatic.hr in 2018 will be diminished from the total price of your next private accommodation booking. The offer is valid for guests which had made a booking for private accommodation in previous and current season with a minimum booking amount of 500 €. If you ask for a refund for several vehicles, the total minimum amount of reservation for each year is multiplied by the number of vehicles for which the refund is being asked (e.g. for two vehicles the accommodation reservation amount must be at least 1000 € for each year).